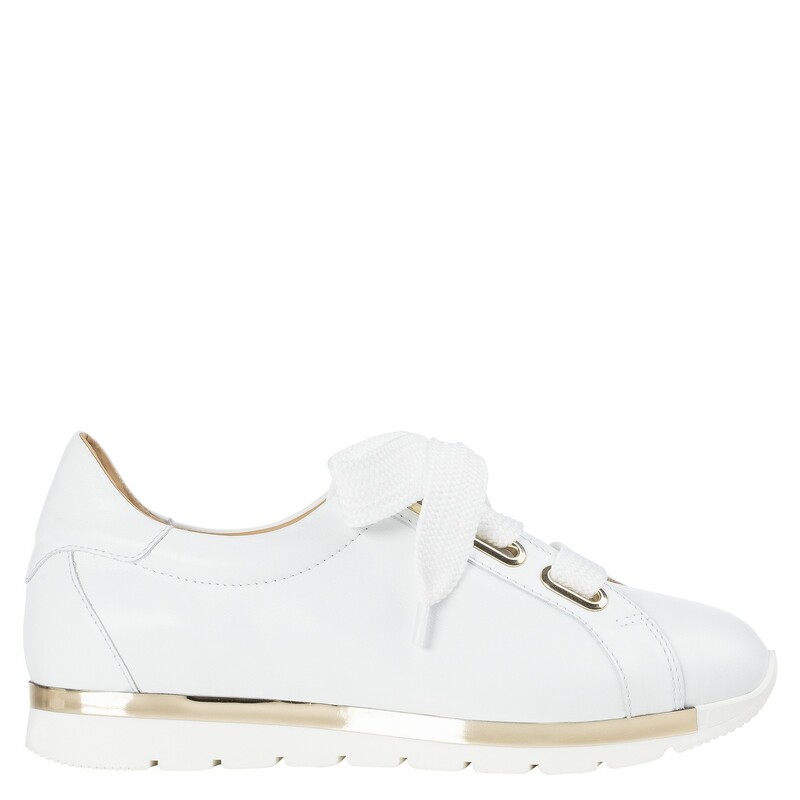 White calfskin leather sneakers with white maxi shoe lace in cotton. Platinum accessory. 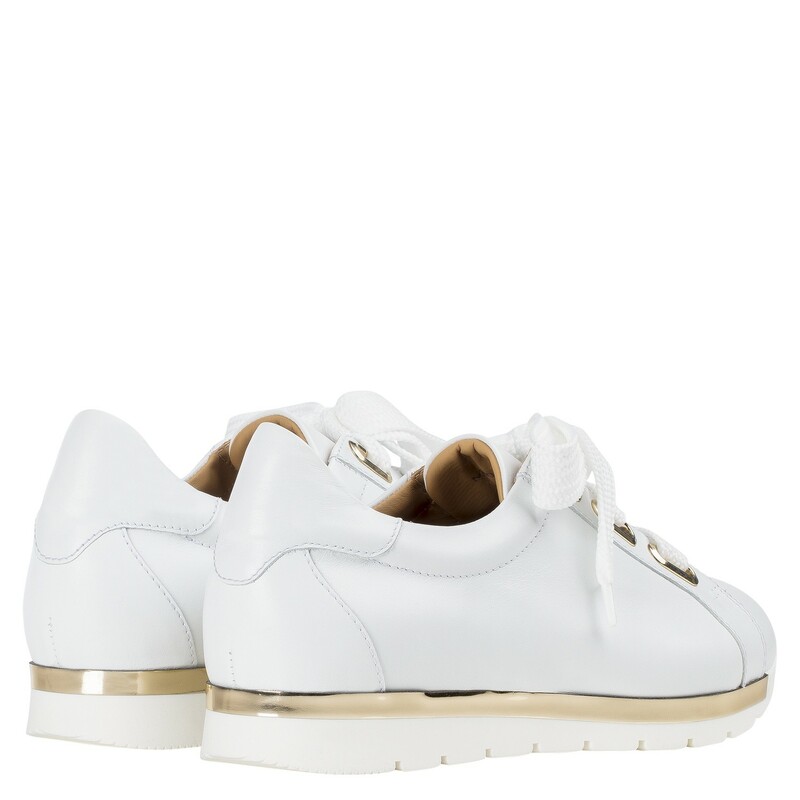 White rubber sole with platinum insert.